If you’re shopping for the best nose hair trimmer, the sheer amount of different choices can be quite overwhelming. We’ve reviewed the best nose trimmers of 2019, and have released an in-depth and simple review of the top five. A nose trimmer is a shaving device specifically used for trimming hair that grows in the nose. It is able to be used in the nostril and remove unwanted hair without causing any type of irritation. It is one of the easiest and most effective ways to get rid of unwanted nose hair, and is much quicker and less painful than traditional methods, such as plucking, which can be painful, or using scissors, which can cause nicks or cuts. Such a device only takes a matter of seconds to use, and can incorporated as part of weekly routine. No matter which one you choose to buy, they are always extremely easy to use and understand. One of the best features of the ToiletTree is its water resistance. You won’t have to worry about causing a short circuit or frying your device if you choose to rinse off the hair with water. You can also keep it right in the shower for easier access and clean-up. If you tend to be clumsy with your small devices, you can rest assured that this trimmer is durable, even made out of heavy duty steel. In the event that you do find a way to break it, the item is backed up with a lifetime replacement warranty. 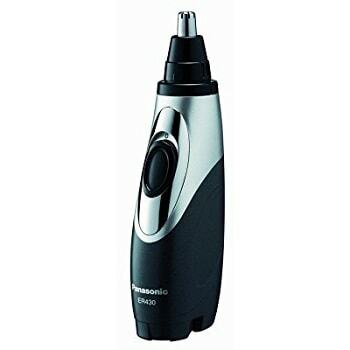 One of the highly rated aspects of this trimmer is that it has a built in LED light, which illuminates nose hairs that can be hard to see. If you find that you don’t want to buy a device just for trimming nose hair, it can be noted that this device isn’t only for nose hair. The rotary cutting systems allows you to also trim hair from eyebrows, beards, and ears. 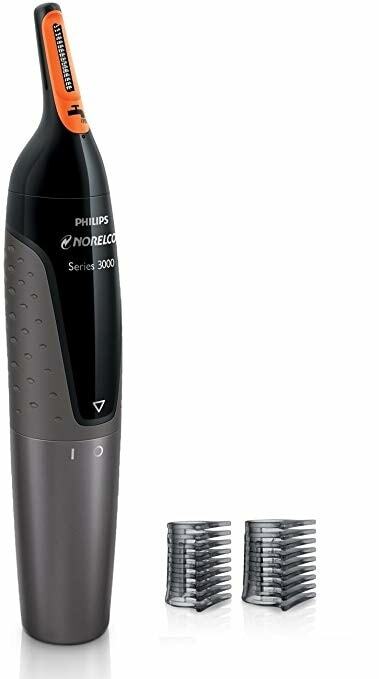 The Philips Norelco is considered both a nose hair trimmer and a styler, as it has a variety of uses outside of just trimming nose hair. While you can easily and quickly trim nose hair, you can also trim eyebrows and ear hair safely. There are two eyebrow combs that are included to trim neck hair, sideburns, stubble, and beard. This blade system is touted as skin guard technology that protects the skin from nicks and cuts. While some blades tend to pull on the hair, mimicking a plucking sensation, this blade is ultra-sharp to cut hair at the base. Much like the previous trimmer, this device is fully washable and can be rinsed under the facet for easy cleanup. Most people who have purchased this specific trimmer have been very satisfied with the job it does and continue to use it as needed. One feature on this Panasonic trimmer that makes it stand out is its hypoallergenic blades. The blade itself is ultra-sharp and has a dual edge, which helps with the natural filtering of the hair to retain proper volume. This blade, like the other trimmers, can be used on more than just nose hairs. It can also be used on eyebrows, ear hair, and facial hair. This device can be used when both wet or dry, which means it can be rinsed for easy cleaning or just stored in the shower. The trimmer is powered by batteries, so it does not need to be plugged into a wall to recharge after each use. Many people who’ve bought this device have been satisfied with the way it works, especially for the low price. A very popular feature is the small, lightweight designed, meaning it can be taken easily when traveling. However, some people have reported that the head can get hot when in use or the springs fall out from the head. The majority of people are very satisfied with the trimmer. The Panasonic ER430K is designed after the state of the art blade technology used in Japanese sword crafting. The blade has a dual edge and is made of stainless steel, sharp enough to cut hairs without pulling, but safe enough to prevent nicks and cuts. The blade isn’t just created for removing nose hair, but can also be used on eyebrows, ear hair, upper lip hair, beards, and more. 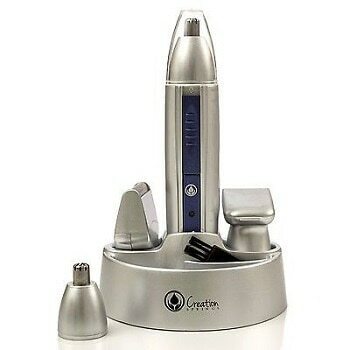 One unique feature of this trimmer is that it has a vacuum system that neatly collects trimmer nose hair and other hairs into an easy to clean collection chamber. The device is also able to be washed off under a faucet. Most customers have declared very favorable opinions on this hair trimmer, with few malfunctions. The Creation Springs claims to be one of the best on the market, with a slightly higher price tag than the others listed. 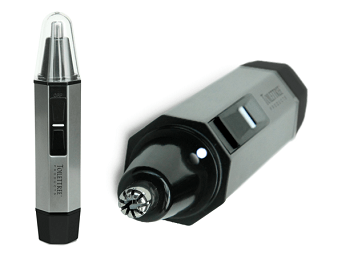 It trimmer is a rechargeable device that comes with a wall plug, to prevent the changing of disposable batteries. The attachments are two separate blades that can be used for trimming both nose and ear hair. While there are separate attachments that can be bought for other trimming needs, they do not initially come with the trimmer. The attachments are completely waterproof and can be rinsed with water–however, they should be removed from the trimmer itself beforehand. This device has mostly positive reviews, with customers citing that it provides a quality trim job. 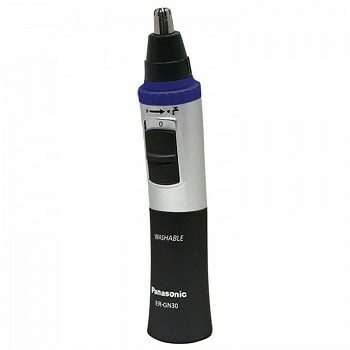 Ultimately, we would choose the Panasonic ER430K as the best trimmer. It has almost all the features offered by other models, while also incorporating a chamber that collects the hairs as you trim. This makes for a much easier cleanup job overall, while still providing a quality trim.